Winner of the 2013 Arab American Book Award for Poetry!! In her first full-length poetry collection, ATRIUM, Alyan traces lines of global issues in personal spaces with fervently original imagery and a fierce passion and intense intimacy that echoes long after initial reading. She transforms ancient mythology into modern day legend, taps into astrology and love with wild abandon, and anthropomorphizes cities and nations to bring the effects of war into crystal clear, heart-wrenching focus. Alyan was recently tapped as a finalist in the Nazim Himet Poetry Competition. 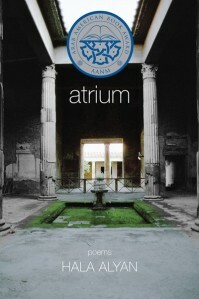 In addition, ATRIUM was awarded to 2013 Arab-American Poetry Book of the Year by the Arab American National Museum. One of the poems included in this volume, “Maktoub,” was nominated for a Pushcart Prize. Already in her young career, she has etched her mark on readers worldwide. 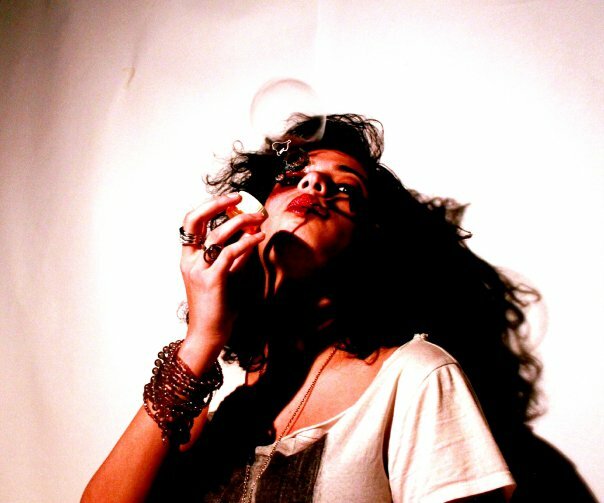 Hala Alyan is a Palestinian American poet and clinical psychologist whose work has appeared in numerous journals including The Missouri Review, Prairie Schooner and Colorado Review. Her first full-length poetry collection, ATRIUM (Three Rooms Press), was awarded the 2013 Arab American Book Award in Poetry. Other poetry collections include Four Cities (Black Lawrence Press) and HIJRA (Southern Illinois University Press), winner of the 2015 Crab Orchard Series in Poetry. She resides in Manhattan.